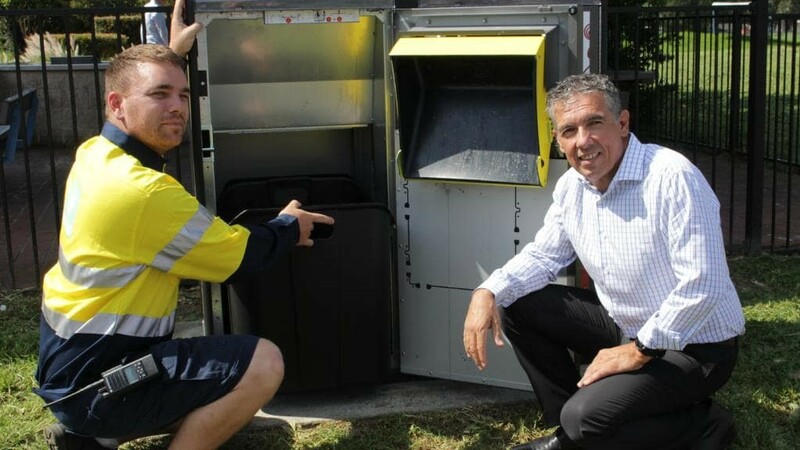 12 months ago, Solar Bins Australia partnered with Townsville City Council which saw the installation of 12 Bigbelly General Waste and Recycling Solar Compactors along Gregory Street in the suburb of North Ward. The Bigbellys were installed with the aim of providing a smarter, more sustainable waste management system to students and visitors, assisting Townsville City in becoming one of Queensland’s smartest cities. Since installation, the solar-powered stations have compacted their way through over 190,000 litres of recycling and general waste. Furthermore, average monthly waste collections have been reduced by 63% which has enabled huge operational savings for the Council. We look forward to our continued partnership with Townsville City Council and for assisting them in maintaining an optimised, smart waste management system for many years to come. If you would like to find out more about how our smart waste technology could benefit your business or organisation, feel free to speak with our friendly team on 1300 893 610 or via email at sales@solarbins.com.au. 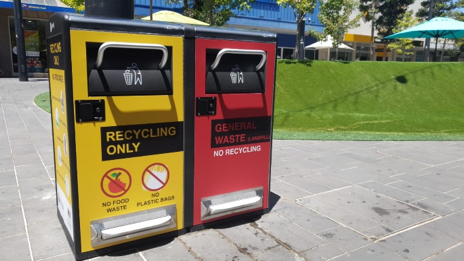 12 months ago, Solar Bins Australia partnered with the largest institution of higher education in Western Australia, Curtin University, and installed 2 Bigbelly Duo General Waste and Recycling Solar Compactors in different high-trafficked locations on the University Campus. The Bigbellys were installed with the aim of providing a smarter, more sustainable waste management system to students and visitors. Since installation, the smart waste stations have compacted their way through over 100,000 litres of recycling and general waste. Furthermore, average monthly waste collections on campus have been reduced by 90% which has enabled huge operational savings for the University. Due to the success of initial smart waste installation, Curtin added to their fleet by installing another Bigbelly Duo Solar Compactor on campus earlier in the year. We look forward to our continued partnership with Curtin University and for assisting them in maintaining an optimised, smart waste management system for many years to come. For more information on our smart waste technology, please get in touch on 1300 893 610 or leon@solarbins.com.au. The Internet of Things (IoT) world continues to evolve at speed. 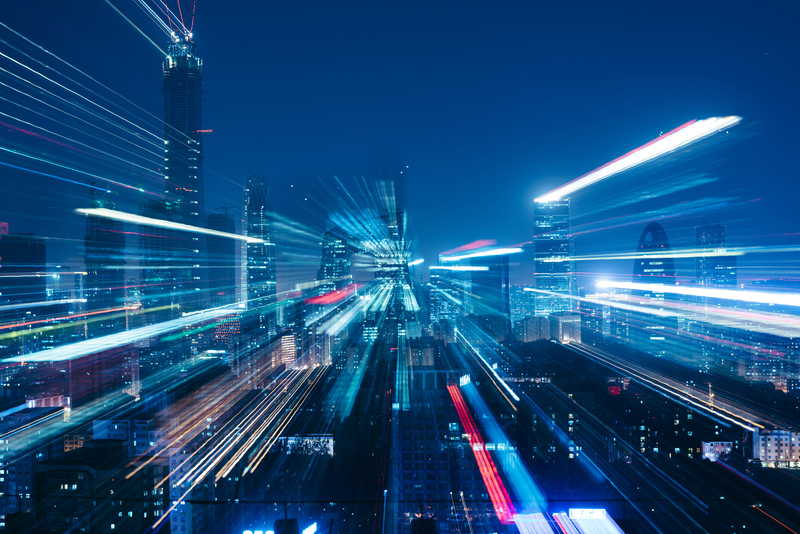 It is unlocking numerous opportunities to accelerate efficiency, sustainability, liveability and economic outcomes across multiple domains including Smart Cities, connected transport and other ‘smart’ infrastructure. This emerging technology is both complex and fast-moving. Understanding the players and what this market offers can prove challenging. To help de-mystify this challenge, KPMG hosted an IoT Innovation Expo on the 7th June 2018, in Sydney. The Expo focused on Smart Cities, Smart Precincts and Smart Infrastructure. We were privileged to have been invited by KPMG to attend the Expo as an exhibitor, showcasing our revolutionary Smart Waste product, Smartsensor. For more information about how Smartsensor or any of our Smart Waste solutions can optimise your waste management system, please do not hesitate to reach out on 1300 893 610 or 0408 060 827 or leon@solarbins.com.au. Chapter 4 – Is Waste Management the Trojan Horse in Smart Cities? It is my personal belief that Waste Management is the Trojan Horse in Smart Cities. And it is the enablement of Smart Waste Management powered by IOT that is the entry level, grass roots foundation that Smarter Cities can grow from. If we don’t manage our waste, as Sir Ed said, how can be build a city of political security, prosperity, order, and peace.” Many Smart City projects are invasive, navigate long approval process and often have long term ROI’s. Whilst bins, they are on every corner, in every park, of every street, of every city, globally. Waste management is the grass roots, pavement pounding, coal face of integration of IOT into the Smarter Cities of Today. The integration of chips, sensors, data is providing real time capability to improve business practices. What if we could keep track of wasted food volumes in supermarkets and restaurants? Would restaurateurs be more incentivised when then know exactly how much waste they are generating and how this effects their bottom line? Imagine if we could track waste containers and high land contaminant containers such as insecticide containers or paint tins in a waste ledger or waste blockchain tracking it from manufacture, to purchase, to use to disposal and provide credits to the customer for correct disposal for their next purchase. All of this is available through Waste IOT. Imagine if long term, high cost waste contracts could become a thing of the past. Imagine if a businesses waste container communicated the location, volume, fill level, waste type and contamination percentage to a passing by waste truck who accepted the waste collection job on demand.This would change everything. The smart waste management market is projected to grow from just over a billion US dollars this year to 2.3 billion by 2021, at a Compound Annual Growth Rate of 16.9% This increase is due to the number of smart city initiatives and strict regulations imposed by regulating bodies for environment protection and waste disposal. Australian companies have led the way in the development of these waste management IOT technologies with the build of sensors, platforms, navigational systems and communications integration being done right here in Sydney, and other leading cities of the country. The Internet of Bins opens new possibilities for interconnecting the community, bins, vehicles and waste companies to provide customised and optimised collection services with minimum cost. Add to this the evolution of electric driverless collection vehicles and you can imagine the future with a very positive approach. The Fourth Industrial Revolution is already reshaping the waste industry…Right now, we don’t have enough people working on this. We don’t have enough solutions. But over time we will not only see the rise of the internet of things, but in my case and more eloquently, the Internet of Bins. Our world can’t afford to not make a change. Let’s help every waste team, everywhere become more efficient. Chapter 3 – What is a Smart Waste City? A Cities mandate for the is to start with the perspective of the users of the city or customers of the city – the residents, rate payers, students, workers, visitors, business owners – by saying, ‘what can smart cities do to improve the liveability, prosperity and sustainability of our city for them?’” A Smart Waste City asks, not only how can we make it easier to dispose of waste, but what is the best was to collect it monitor it and process it. They ask, how can that waste be transferred to exactly the right company at exactly the right time, to process it, in the most sustainable, closed loop way, rather than sending to land fill. They ask, how can count waste in real time. 24/7. As an example, Melbourne’s population is expected to double over the next 35 years and is expected to be bigger than Sydney by 2053,”. Over that period, global temperatures will continue to rise, which will have implications for infrastructure and liveability. Today, waste trucks visit bins throughout the city up to 5-6 times per day. Travelling along Elizabeth Street collecting bins at 8:30 in the morning can take upwards of 45 minutes for a resource intensive vehicle to collect no more than 20 bins. 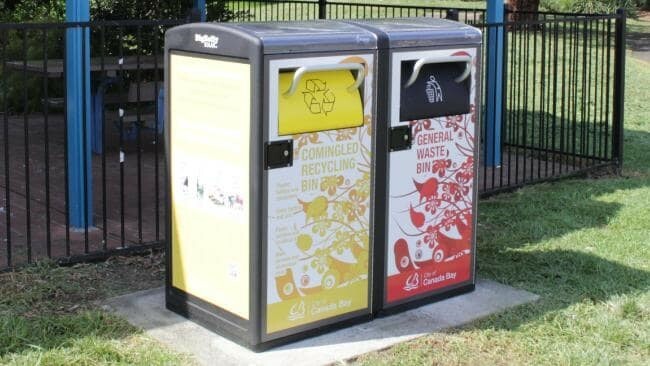 Over the past 2 years Melbourne has worked to compile a business case on the benefits of connected bins. Considering a between 18% and 23% of a Council’s budget goes on waste management it is certainly valid. After proving this business case, the city will now see over 400 connected bins working to assist collection teams in reducing waste truck movements by 70-80% in the CBD. They are now able to collect once a day, during the very early morning, rather than 6 times a day in peak hour. We’ve never had that real time capability before. This data can be then places in the cloud and shared with any entrepreneur or company who can seek to do something positive and proactively. Globally, organisations such as Vodafone are providing the connectivity required for these Smart Waste Management Operations in cities with technology such as RFID and GPRS solutions. In Germany their IOT Sims are providing trucks with directions to previously missed bins, improving customer service KPI’s and improving safety records. They are disproving hit and run incidents and working to allow journeys to be optimised to avoid unnecessary trips to half-empty containers and collection points. Closer to home, at the Sydney Fish Market, has identified savings of up to 75% in collection activity from a recent IOT Smart Waste deployment lead by some of Australia’s leading corporate organisations for the Internet of Things Alliance of Australia. Things are changing. If we travel north to Port Stephens, they are in the process of installing Australia’s first Wi-Fi network powered entirely from a bin. That’s right, no cables, no wires, just a solar powered rubbish bin providing free public Wi-Fi access. These can already be found along Orchid Rd in Singapore and throughout the boroughs of New York. 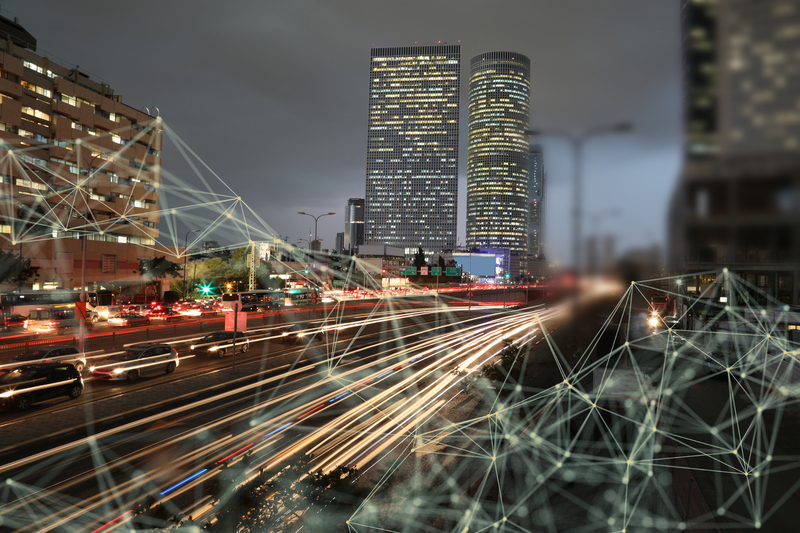 I hope you have enjoyed the third instalment from Intelligent Waste Series 2, look out on Monday for the final Chapter 4 – Is Waste Management the Trojan Horse in Smart Cities?